A healthy crock pot recipe that tastes as good as it looks. 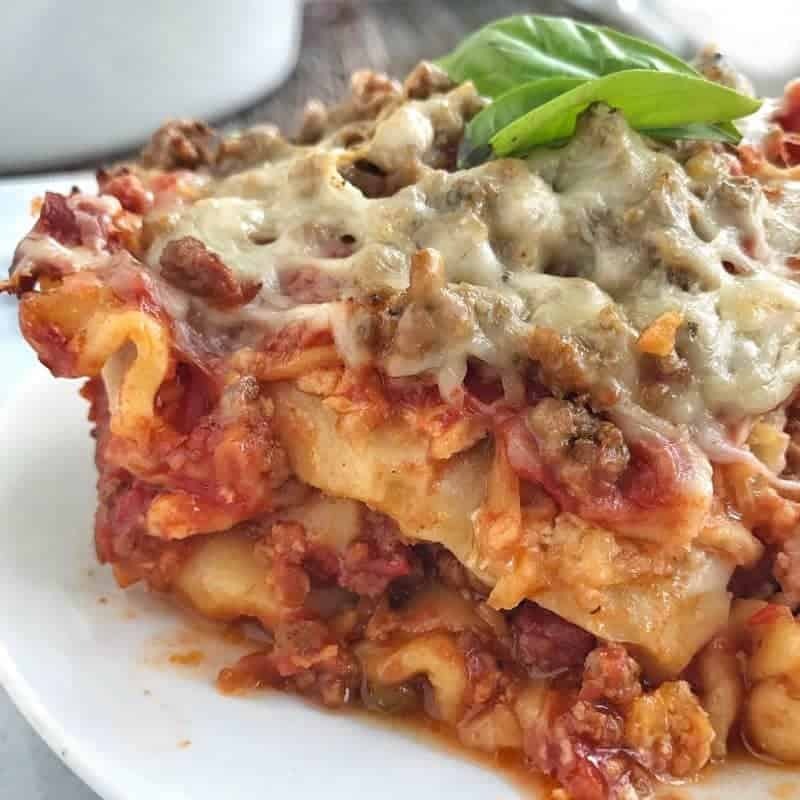 Crock Pot Lasagna is a healthy dinner recipe that your whole family will love. THANKS TO THE WISCONSIN BEEF COUNCIL FOR SPONSORING THIS POST. Healthy crockpot recipes can taste amazing. This healthier lasagna recipe is the perfect example. 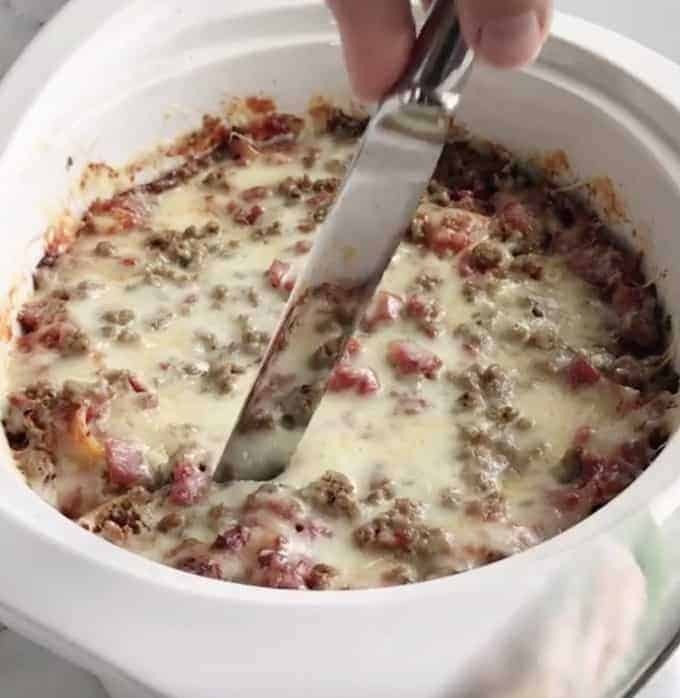 With half the cheese, lean beef, and simple wholesome ingredients, this recipe is one you need to try. The flavor that develops while cooking all day is so good! By now you know I love my crock pot. It makes feeding a family so much easier. 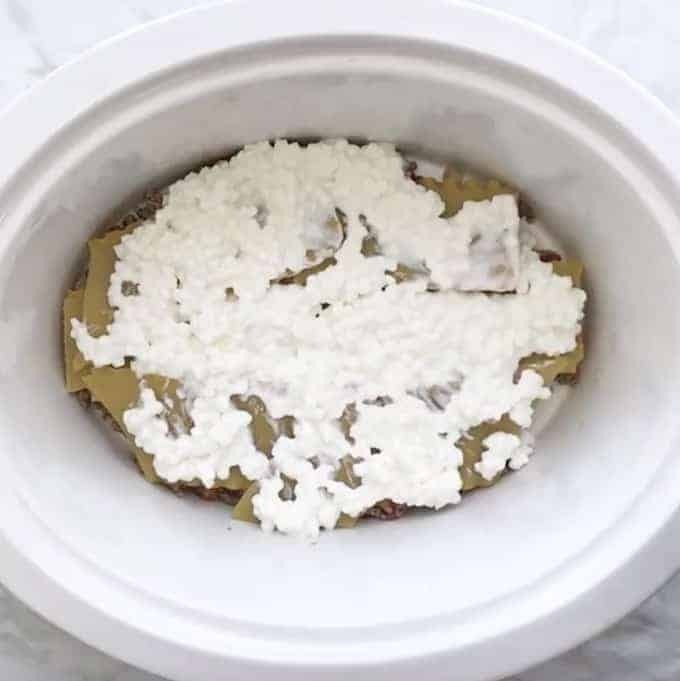 My favorite recipes to make in the crock pot are those that I can dump everything in and let it cook. But there are some recipes where this just doesn’t work. Believe me, I’ve tried. Watch the Video for step by step instructions! Last fall, I decided I wanted to see what would happen if I didn’t brown the ground beef before adding it to the crockpot. How awesome would it be if we could skip the browning step?! I am here to report that browning the meat before putting it in the crockpot is in fact, very important. In the chili I made without growing the ground beef, the meat cooked just fine, it was the texture that was not the same. At all. Moral of the story? Always take 10 minutes to brown meat first. The flavor browning meat adds, and the texture it provides makes a huge difference in the quality of the end product. Your family will thank you. Time Saving Tip –> Buy meat in large quantities, brown all of it, portion and freeze for later use. If you’re like me, I stock up when lean cuts of beef are on sale and freeze them. However, once frozen, the meat needs to be thawed. There are many unsafe methods of thawing frozen meat, like leaving it out on your counter or running it under hot water. 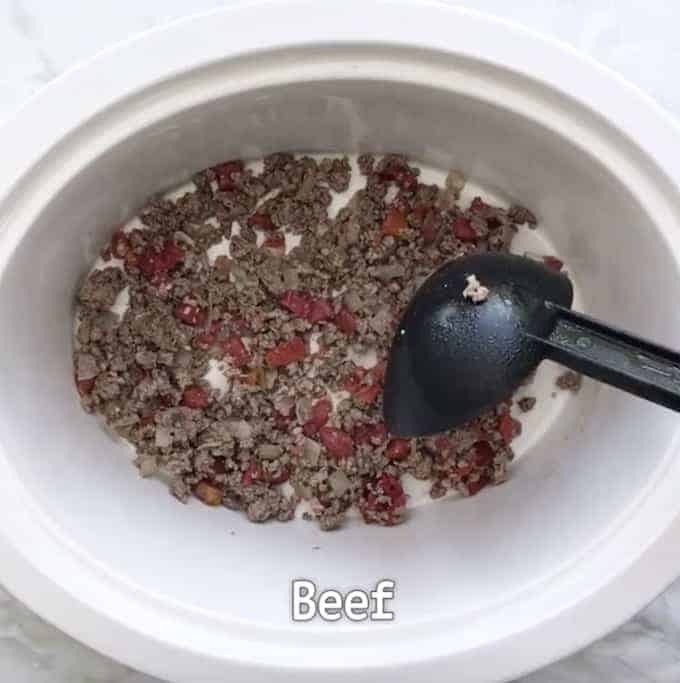 Instead, check out this quick way to safely thaw beef. To simplify the recipe, brown ground beef the night before and assemble the lasagna. Put the whole removable liner in the refrigerator overnight. Put it back in the crockpot the next morning to cook while you’re away. The last of the cheese gets placed on top right before serving so it’s fresh and delicious and ready to serve! 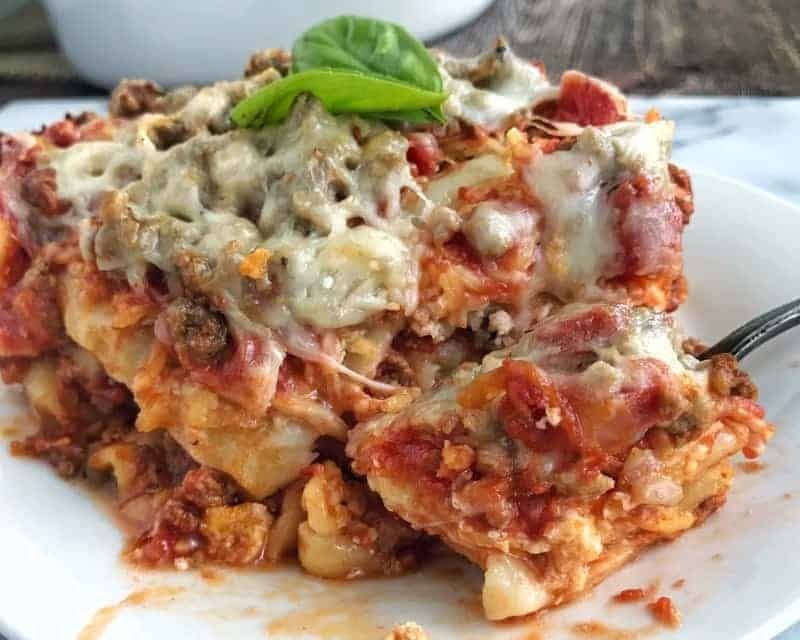 This healthier lasagna recipe is the perfect weeknight dinner meal. With half the cheese, lean beef, and simple wholesome ingredients, this recipe is one you need to try. The flavor that develops while cooking all day is amazing. In medium sized skillet, heat olive oil. Sauté onions until translucent. Add beef, cook until browned. Drain. Add garlic and oregano to beef, let cook 1 minute. In crockpot, layer 1/4th of beef mixture. Add 4-5 lasagna noodles on top, breaking to fit. Top with 1/3 cottage cheese then 1/4 of the mozzarella cheese. 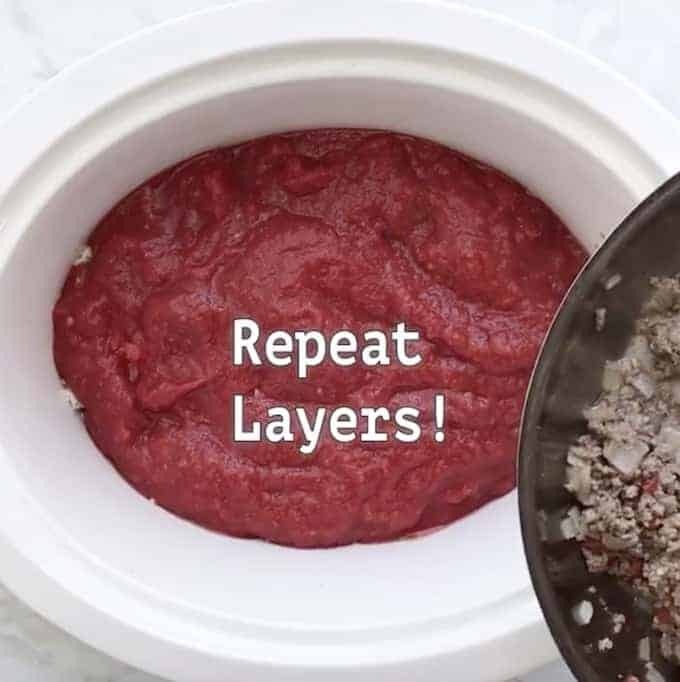 Pour the whole can of tomato sauce on top of mozzarella cheese. Layer another 1/4 of the ground beef, 4-5 lasagna noodles, 1/3 cottage cheese, and 1/4 mozzarella cheese. Pour 1/2 of the can of crushed tomatoes on top of the mozzarella cheese. Repeat the layers once more. 1/4 ground beef, lasagna noodles, the last of the cottage cheese, 1/4 mozzarella cheese, and then the rest of the crushed tomatoes. Add the last of the beef mixture on top. Cover. Place into refrigerator or crock pot for cooking. Top with remaining mozzarella cheese and Parmesan cheese. Cover and let cheese melt. Serve immediately. 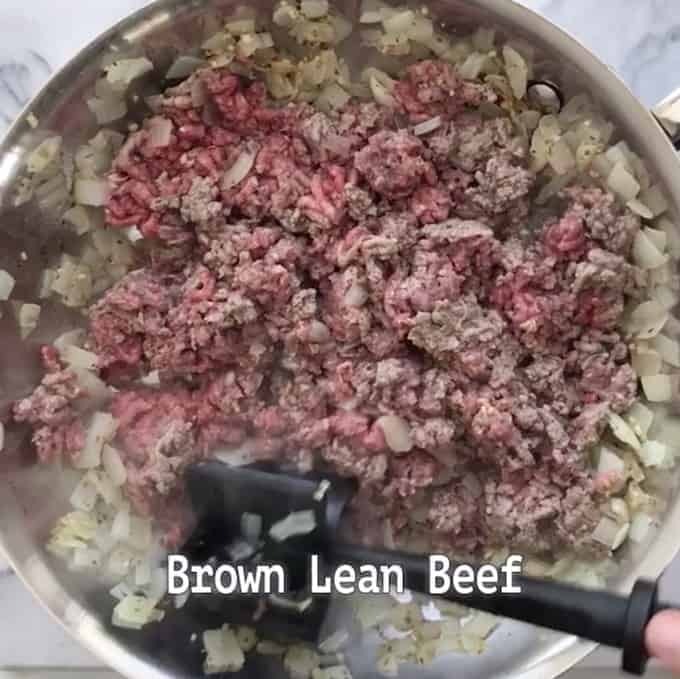 For more lean beef recipes your family will love, check out the following recipes: Meatball Foil Packs, Philly Cheesesteak Sandwiches, or Cheese Stuffed Burgers. Learn How To Stock A Healthy Pantry - The Easy Way! Join the club & get your FREE Pantry Staples checklist. You'll receive our weekly updates on quick, healthy recipes. Crock pot indeed is very useful specially during weekdays. I find it to be a lifesaver on a lot of nights! This looks so easy and yummy! I will definitely have to make this soon. It’s perfect for those busy days! I love my crockpot….and we love lasagna. I usually make like 3 pans at a time. The kids take the leftovers. 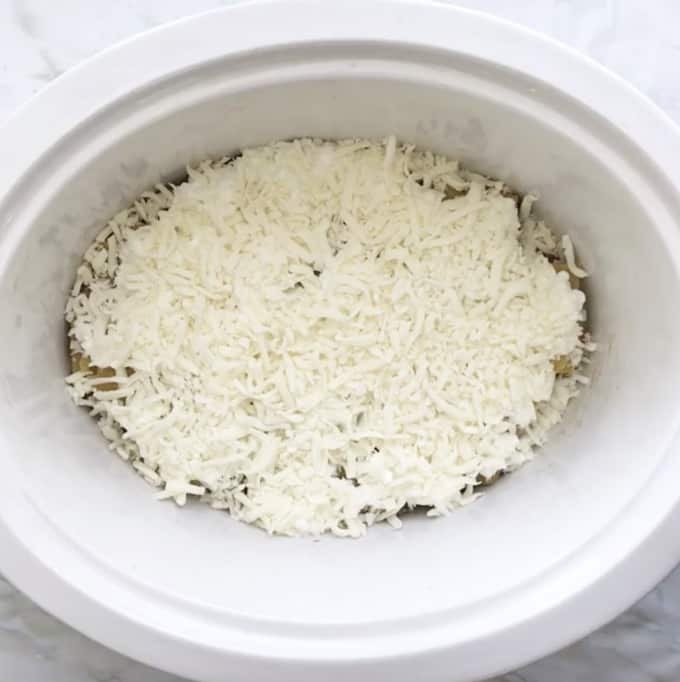 I have never made it in the crockpot…but I will for sure have to give this a try. I never knew how the noodles would turn out. By the looks of you video they seem to work great. I love your cooking in bulk practice, Gloria! So smart! This one is really easy to make, and the noodles help up remarkably well! If and when I do make classic lasagna, I always make it in the crock pot. It’s easier, clean up is non-existent because I use liners, and it tastes just as yummy, if not better than the oven. I have yet to try the liners. I really should! And I agree with you, Joanna, that it just might be better in the crock pot! I love this idea, I can imagine that lasagna just juicy. Thanks for sharing this recipe. Oh I’ve never thought of making lasagna in a crock pot! How fascinating. 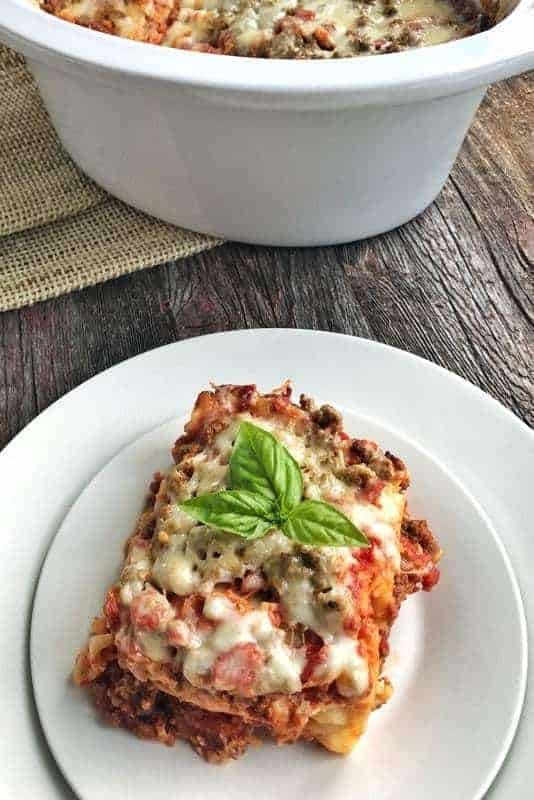 We love lasagna so I must try this soon. YUM! I love having dinner cook while I’m doing something else. I am a bit obsessed with my crock pot! Hope you enjoy, Veena! I almost licked the screen. Yep!! It looks that good. I’ve never tried making lasagna in a crock pot — I don’t know why because it sounds and looks delicious. And my oldest son swears by the crock pot liners! Love this recipe. You made me laugh out lout Marisa! I need to give those liners a shot! I hope you enjoy! Crockpots are truly God’s gift to Earth! They make cooking during the week so simple. Love the ground beef charts you provided. Quite informative for such a delicious recipe!! This sounds delicious! 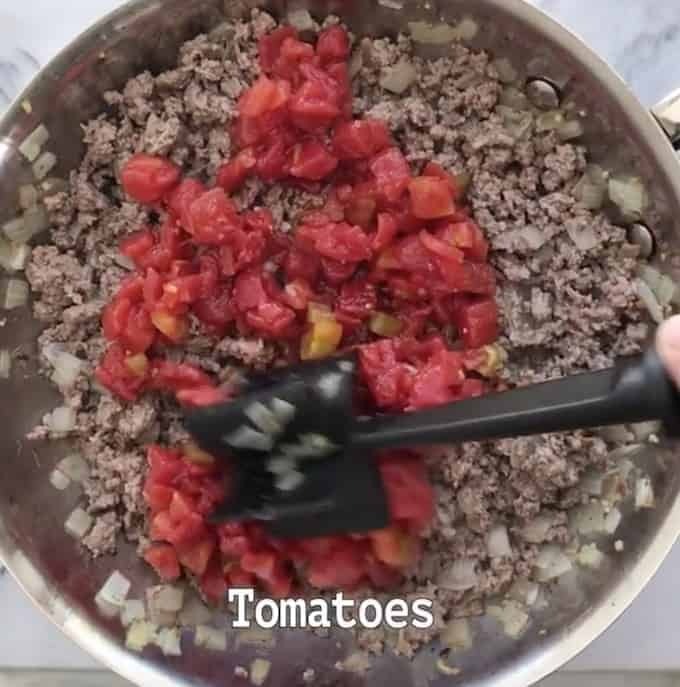 Such a wonderful and easy recipe for dinner! Definitely need to try it out soon. I love crock pot meals!! 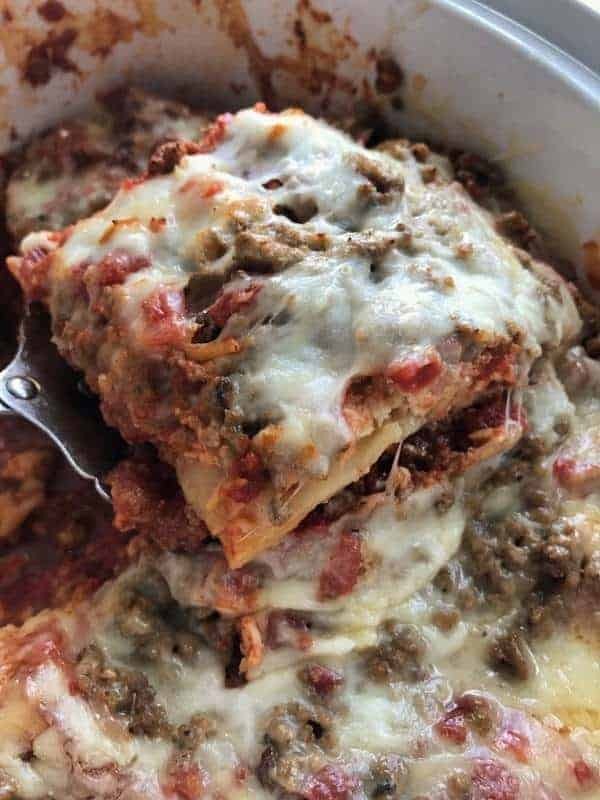 I haven’t yet made lasagna, but appreciate your recipe and will be trying it soon. They sure are a lifesaver on busy nights, aren’t they? I hope you enjoy! I never thought about browning and THEN freezing meat, that’s such a good tip! I love crock pot recipes. I have never tried making lasagna in a crock pot, but I’m going to try your recipe. 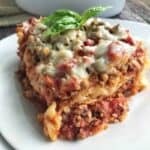 Love lasagna, and always on the look out for delicious ground beef recipes. I hope your family enjoys the recipe, Teri!! What a great and informative post! I also think browning the meat makes a huge difference – and what is 10 minutes of time to invest in a delicious dinner like this? Thanks so very much Kylee! And yes, those 10 minutes are really needed, aren’t they?! It works really great and the flavor from cooking all day is sooo good!! I hope you enjoy Karyn! Perfect weeknight meal for busy nights. This looks so delicious! 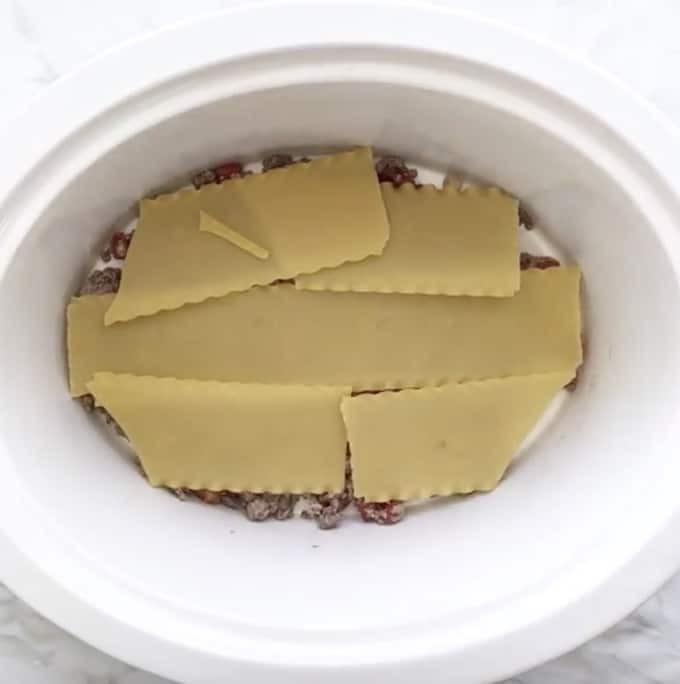 I have Instant pot, I think I use your crackpot lasagna to make in it, may need to adjust the time. I will do it and let you know. This is so delicious. What a brilliant recipe! It looks super tasty, can’t wait to take my crockpot out and give this a go! Such a time saver! We loved this! Never thought of doing lasagna in the crock pot. It worked great!! 4 adults & 2 kids ate and we still had half a pot left. The only thing I miss was broiling the cheese at the end to get that golden brown crispiness. Can you put a crock pot in the oven for a quick broil?